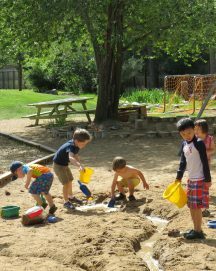 Jarrow Montessori School’s Primary Program nurtures in students a lifelong love of learning. The program promotes motivated, self-directed and engaged learners through carefully structured classroom environments prepared by knowledgeable and dedicated teachers. Primary teachers skillfully observe their students and closely guide them in the learning process. Student-centered learning is a hallmark of Jarrow Montessori School; we define our success by our students’ learning success. Here is a beautiful video showing the multi-sensory work in a Montessori Primary classroom. 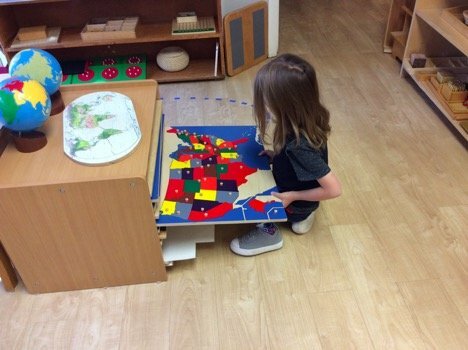 Montessori classrooms and the materials in them are designed to give work how the brain develops- through making connections, having sensory experiences and exploration. Purposeful activities are designed to sustain uninterrupted, focused learning opportunities for students. Our teachers are well educated in child development. This knowledge is at the heart of an inclusive classroom experience that is responsive to a diversity of learners. As a result, Jarrow students are curious, self-confident and critical thinkers who are becoming socially aware. They are guided to respect individual differences, value partnership, seek cooperative approaches to problem solving and actively participate in taking care of their classroom environment and community. The Primary classroom environments are organized into the basic Montessori curriculum areas: Practical Life, Sensorial, Language Arts, Math and Cultural. Each classroom includes educational materials for geography, social studies, science, art and foreign language instruction. Music, art and physical education are part of the weekly activities. The Jarrow Montessori education at the primary level includes and exceeds the national education standards for kindergarten; and fully prepares them for entrance to our incredible Elementary program. Jarrow currently offers full and half day options for our primary program. 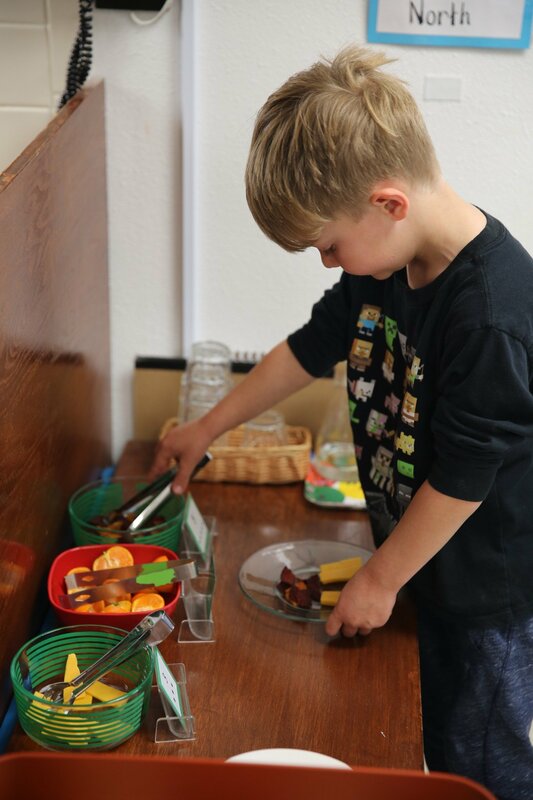 A typical schedule for the day is morning arrival, followed by a work period or specials, snack, circle time and outdoor time. Half-day departure happens before lunch. All day children eat lunch together, children under 5 have a rest/nap period, followed by an afternoon of work cycle. Children 5 and 6 have enrichment programs and work cycle in the afternoon. The Third of Primary: the Year of Wonder! From birth to six, we bring the world to the child. From six and beyond, we bring the child into the world. The education of even a small child, therefore, does not aim at preparing him for school, but for life. The third year of all cycles in a Montessori classroom is one of great beauty. It offers the child the opportunity to consolidate their knowledge and skills that they have been accumulating in prior years and allows for an explosion of new learning to be fully experienced. The genius of the three-year, mixed aged group is that each child advances to be one of the older, wiser students who will be able to share knowledge and naturally experience leadership by guiding and mentoring the younger children. Sadly, this opportunity can often elude children in more conventional learning environments. 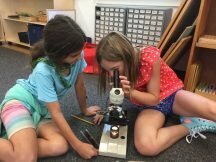 A Montessori classroom is unique in its reverence for the child. By enabling the third year student pride of place, we celebrate by allowing for added responsibility, opportunities for leadership, and to showcase all the skills that have been built in prior years. 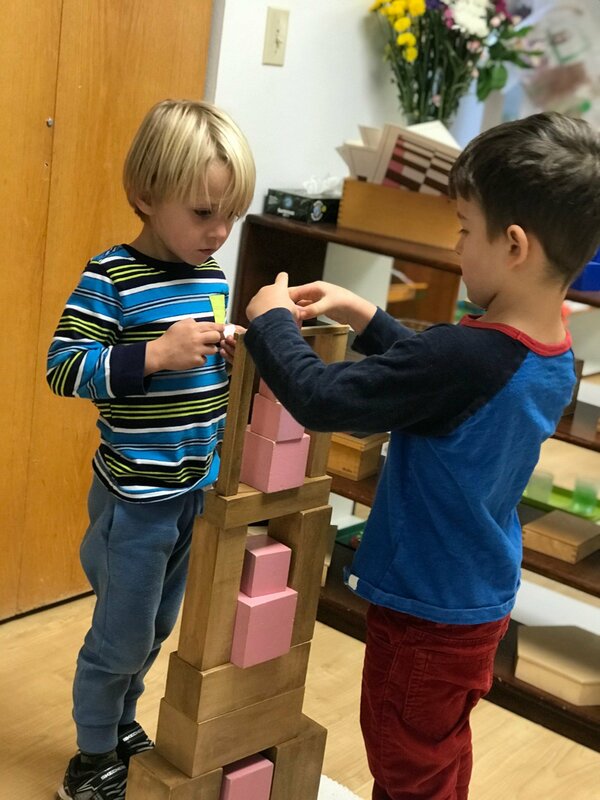 The value of completing the three-year cycle at each Montessori level, is without a doubt, beneficial for all children, but the third year of primary is distinctive and very different in nature to other Kindergarten programs. Building upon the morning work-cycle, the afternoon work-cycle enables a child to work on a project that may take several days or even weeks to complete. The children learn to develop academic stamina, cultivate flexibility in thinking, and nurture their creativity and imagination during this second cycle of work. 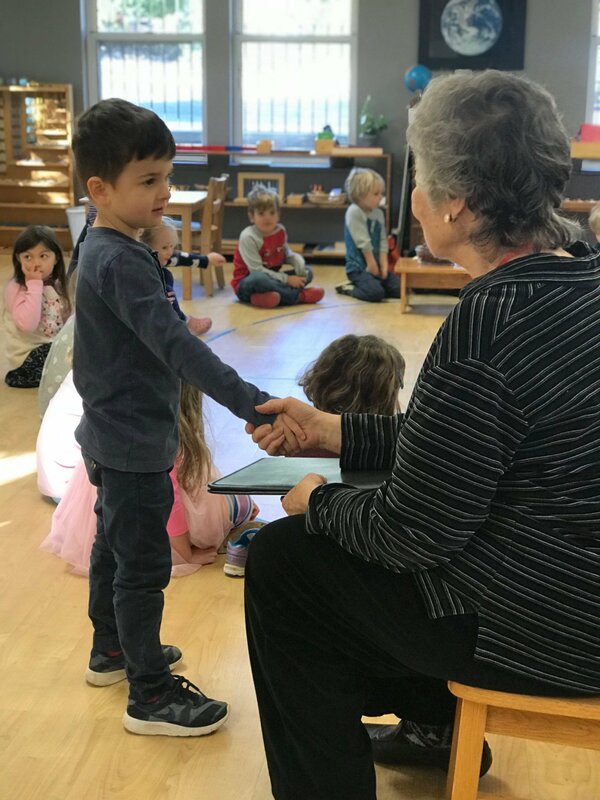 – Increase the breadth of age-related social experiences and opportunities to interact with peers and to forge new friendships from other classrooms before the child moves up to Elementary. – Expand problem-solving strategies. As the child’s vocabulary becomes more sophisticated they can try out new ways to solve problems, understand how to compromise when disagreements arise and apply more advanced forms of empathy. -The ability to work in a more concentrated manner with children their own age and experience the sheer pride in completing works that up until this age seemed too ‘challenging’ and beyond the reach of understanding. -Teachers guide the child to take on more and more complex work and as the student begins to learn time management skills, their ability to bring work to completion is experienced. -More concentrated time for literacy-based activities, which support the emergent reader and writer, is built into the afternoon. 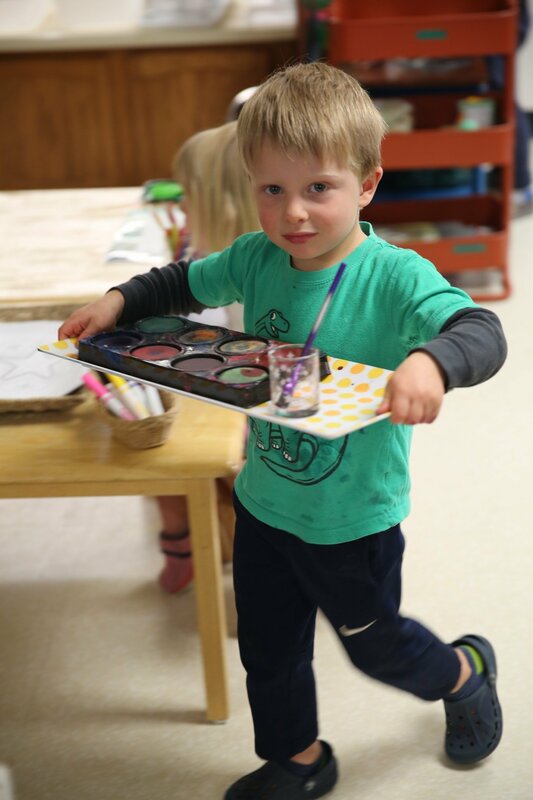 – Additional co-curricular experiences like art, music, and Spanish will be included as part of the children’s afternoon in addition to the morning PE and outdoor ed programming. The third year of any cycle is magical and we hope that as you look to the future you will enable your child to experience the thrill of their kinder year!